I took Mom to her physical therapy appointment yesterday. She was feeling bad before we even left. When I parked our wheelchair van in front of the hospital to unload her, I discovered a rapidly growing green pool underneath. Houston, we have a leak. I wheeled her inside for her appointment, came back out and parked the van (leaving a liquid trail behind me). The puddle continued to grow. Being the skilled mechanic that I am, I called Dad at home, and sent him a picture with my cell phone. Yep, this is the picture. If you're interested, you can click to make it bigger. But it's hard to diagnose a leak over the phone (even with a picture), so Dad called our friends Doug and Dustin who drove right over and looked at it with me. Their recommendation: call a tow truck. This was more than an ordinary problem for us. Since Mom came home from the nursing home this wheelchair van has been her only means of transportation. And her bedside commode has been her only 'facility'. So typically when she's finished with her hour of physical therapy, she needs to get back home (30 minutes away) as quickly as possible so she can use the commode and lay down in bed to get the pressure off her back. Especially when she's already not feeling well beforehand. Mom's great PT, Jon Cook, snapped this shot of Mom on the Nu-Step yesterday while we were waiting to see how God was going to get us back home. But this is where God's goodness kicked in. When I went back inside to check on Mom, she was feeling great. 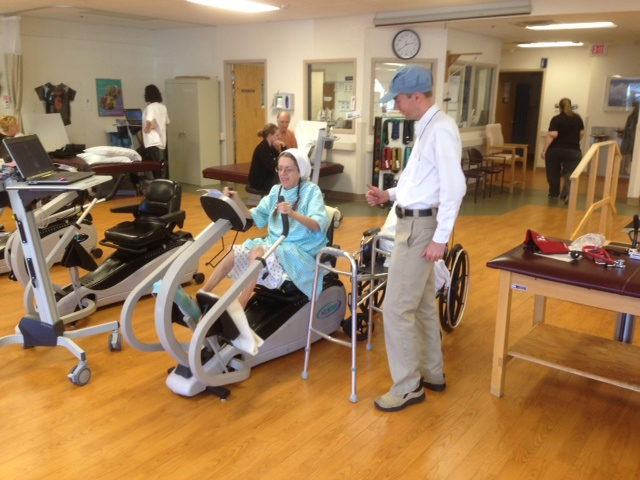 (The physical therapist told us this is a sign that her body wants and needs more activity.) Dad drove over in our station wagon and it turned out that she has improved enough that she was able (with aid of walker) to get into the front passenger seat. (First time since September 27.) Not only that, but she was able to toilet there in town (before coming home) using another portable commode. It just took the crisis of a leak to show her how much she could do. Dad brought three gallons of water with him, filled up the van overflow tank, turned on the heat, rolled down the windows, and drove it all the way home without mishap. In fact it did not leak at all. A mechanic who lives nearby was kind enough to look at it this morning. 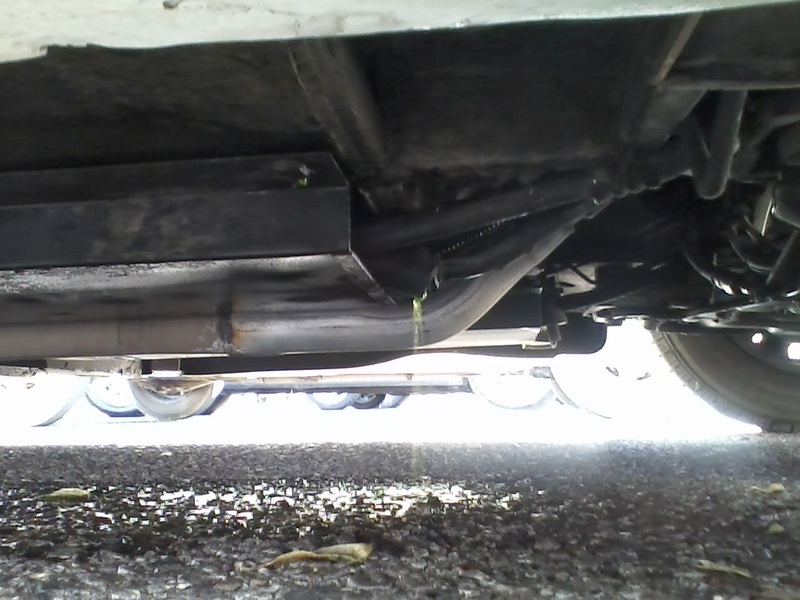 A hose going to the rear heater had worn a hole due to rubbing. He replaced the hose and padded the spot to prevent future rubbing. He also taught us how to turn on the air conditioner (which we had thought was broken). So what at first seemed like a calamity turned out to be a good gift from God. Perhaps the best gift was that all three of us had peace in the middle of it. We had just studied "Jesus calming the storm" (Mark 4:35-41) last Saturday, and I guess this was our chance to see His power and goodness in a small storm. We watched the Nye/Ham debate live. It was a wonderful evening. We were joined for dinner and the debate by a new friend from just down the street and old friends from Phoenix whom we hadn't seen in 20 years. There really is no way to dress up the gospel in a slick presentation without killing the gospel. The message of a crucified Carpenter will always seem foolish to those who are perishing. Ken Ham delivered the gospel. And although Christianity does have speakers and debaters whose skills exceed Ken's, he was the Lord's pick for this night and this debate. Perhaps because of, and not in spite of, his weaknesses. If you like hymns then you will love this book. One hundred seventy five hymns are printed on the left side of the page with music, and a one page 'backstory' about the hymn on the right side. Randy Petersen has done a great job of selecting songs for this book: some ancient, some modern; some familiar, some rare; traditional and non-traditional. My biggest beef is the binding. The paperback cover is flimsy and seems out of place on a book that deserves a permanent place in family libraries. Nevertheless, Petersen delivers considerable knowledge of music, poetry, theology, and history in these pages. I thought I was well-read about hymns until I read this book. But he's not just a knowledgeable writer, he's also a good writer. He knows how to use words, not just music. 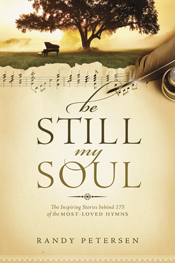 While not quite as "devotional" in style as Guye Johnson's Treasury of Great Hymns, I still would rate Be Still My Soul as my favorite hymn history book. I received this book for free from Tyndale Blog Network in exchange for an honest review.